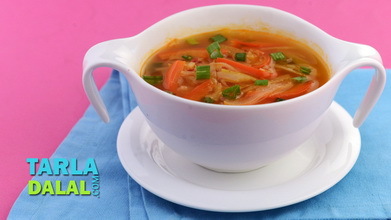 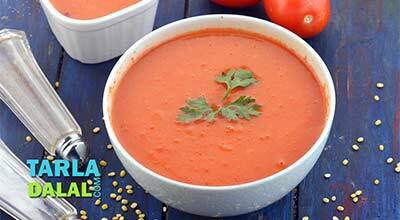 Carrots and coriander in this yummy soup fulfill up to half of your daily vitamin a requirement. 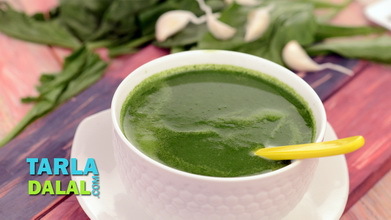 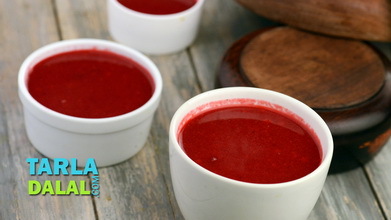 While keeping the calorie count down to only 36 calories this soup wins the ultimate soup for weight watchers award! 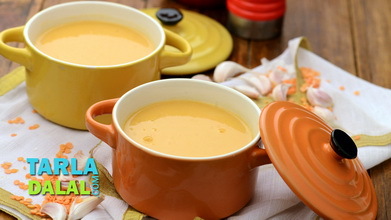 Combine the carrot and 1½ cups of water in a pressure cooker, mix well and pressure cook for 2 whistles. 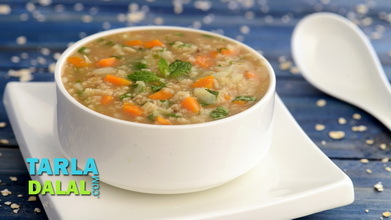 Transfer the carrot along with the water into a deep bowl, add the coriander and blend using a hand blender to a coarse mixture. 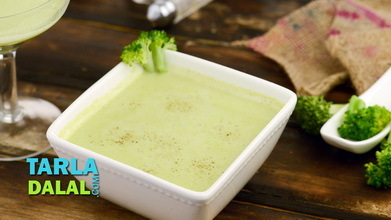 Transfer the carrot-coriander mixture into a deep non-stick pan, add ½ cup of water, salt and pepper, mix well and cook on a medium flame for 2 to 3 minutes, while stirring occasionally.